I can't believe August is here already, can you? Don't worry you still have plenty of time to enjoy the sun and sand. However, do enjoy your grilling, watermelons, popsicles and all the other summertime goodies because soon it will be time to switch our taste buds and start enjoying our pumpkin spiced lattes. One way I keep summer alive is by surrounding myself with art like this beautiful piece from CJ Prints. Happy August 1st, let's make this last summer month count! Here's how I'm enjoying summer - lots of indoor projects, and all the tasty produce from our long growing season! a lovely print! enjoy the last of summer. I'm gonna enjoy the rest of summer with lots of fruit and pool time, but I sure am ready for all things pumpkin! 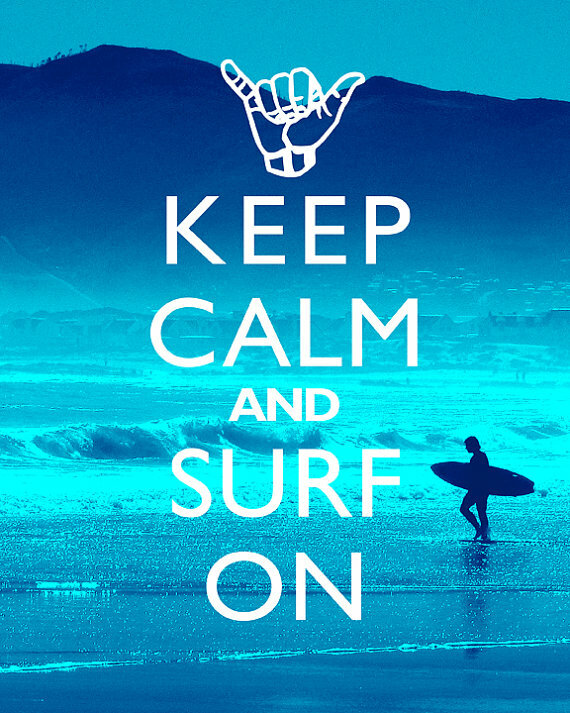 Love the print - my husband is a mad keen surfer so this sums up our life!